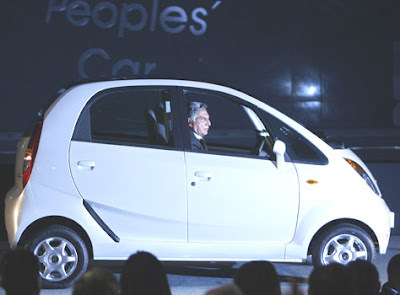 DeepakSethSpeak: A People's car for the World !! There is definitely Fortune at the Bottom of the Pyramid as countless entrepreneurs are discovering. The Nano's also expected to get 54 US miles per gallon......once gas hits USD 10/gallon you should see a lot of these on the roads here !!! I think it's great news. Of course some environmentalists are apoplectic over it.